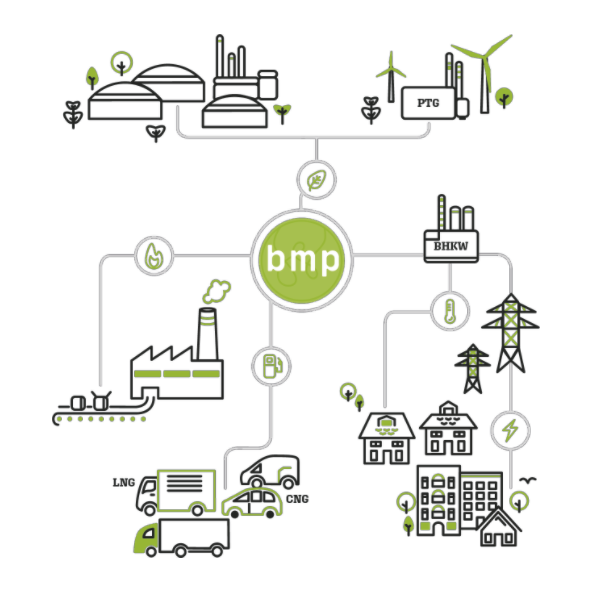 bmp greengas is one of the market leaders of Biomethane trading in Germany with increasing activitities across Europe. We have been advising, accounting and supplying our customers with biomethane for use in combined heat and power, thermal or material use or mobility for more than 10 years – fail-safe and in every gas quality. Our experience leadership enables us to meet your every need for clean and sustainable energy management.